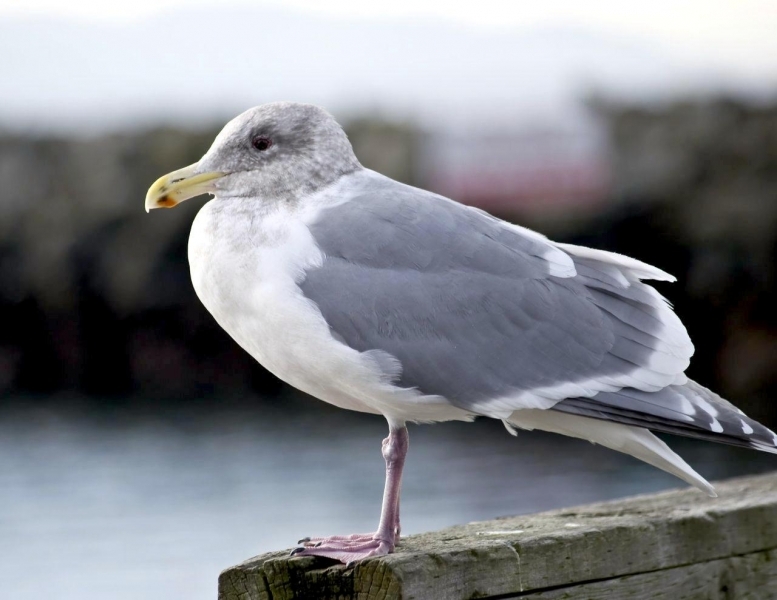 One gull species that is definitely worthy of recognition is the Glaucous-winged Gull, the most abundant gull in the Pacific Northwest. 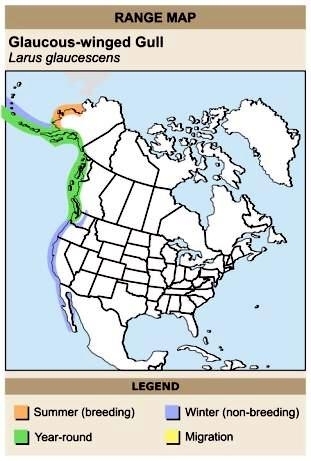 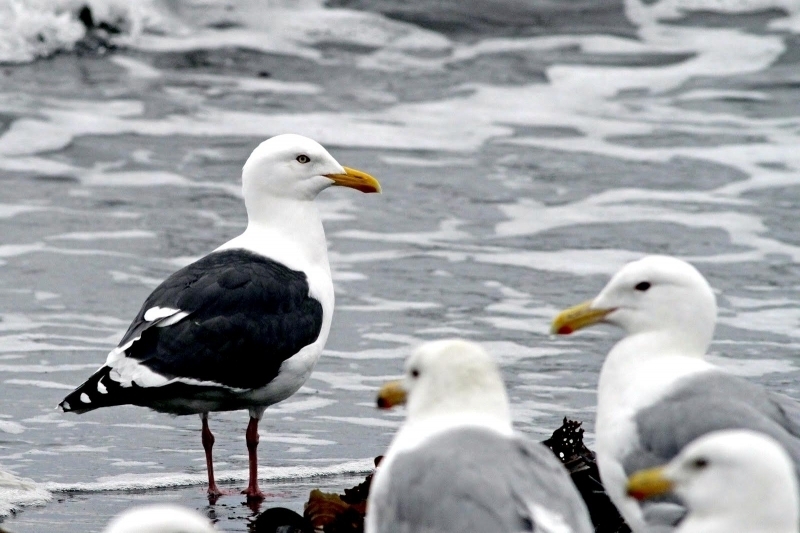 Found year-round along the Oregon, Washington, Canadian and Alaskan coastlines and during the winter all the way down to Baja, Mexico, these birds really are “everybody’s neighbor”. 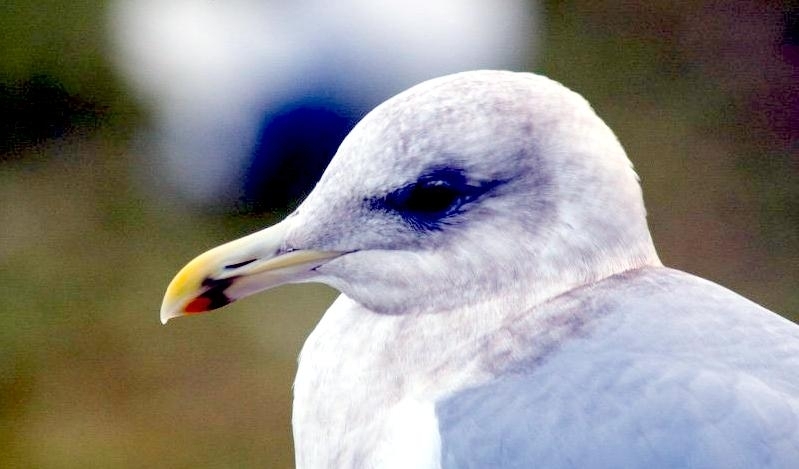 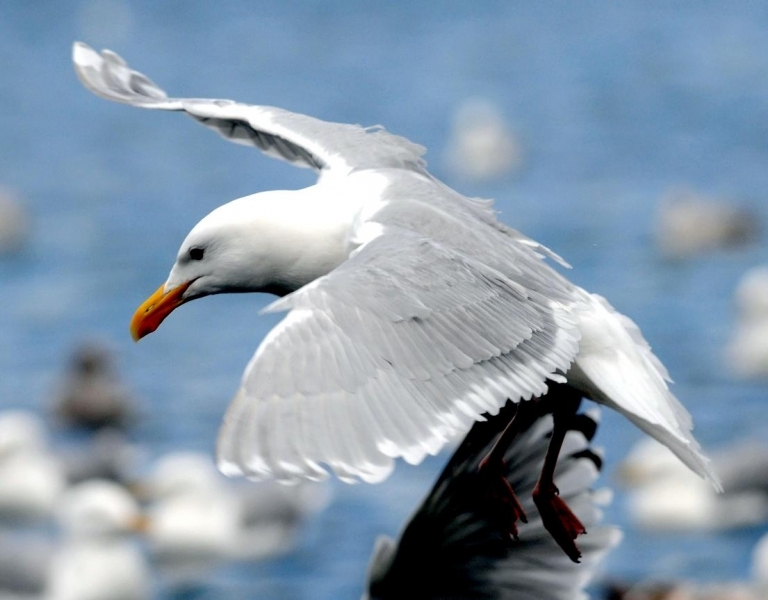 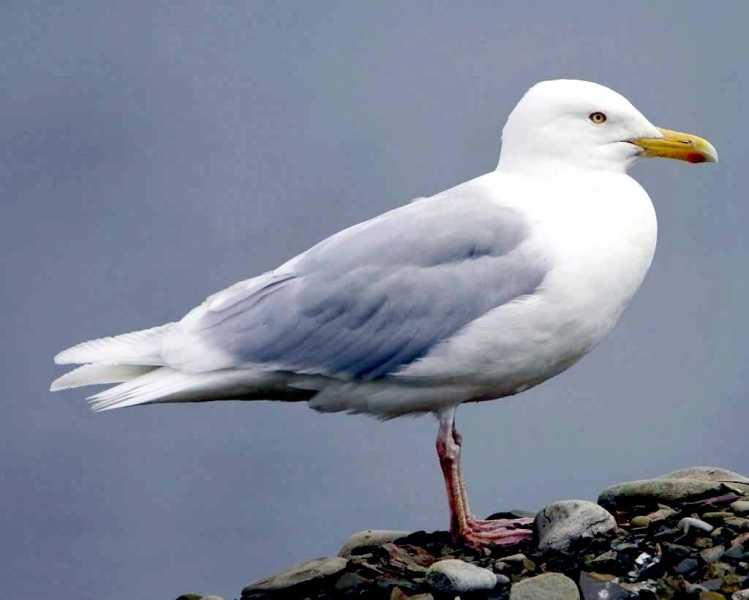 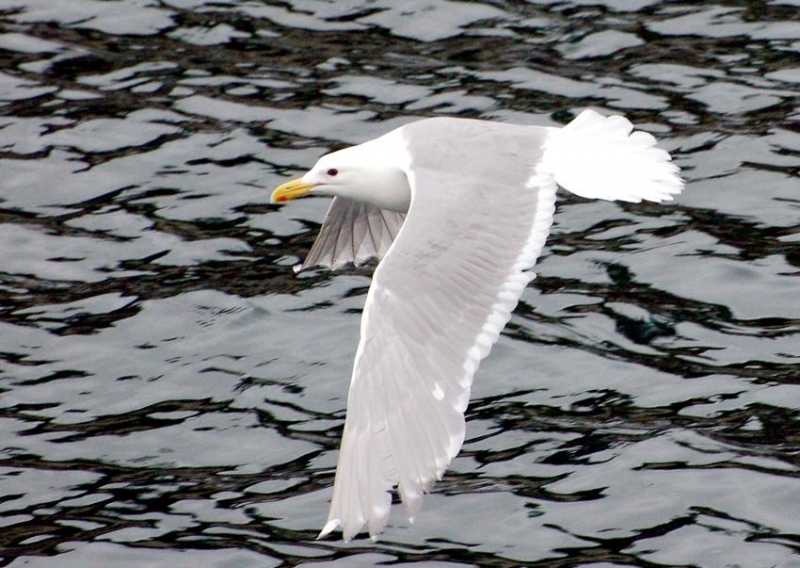 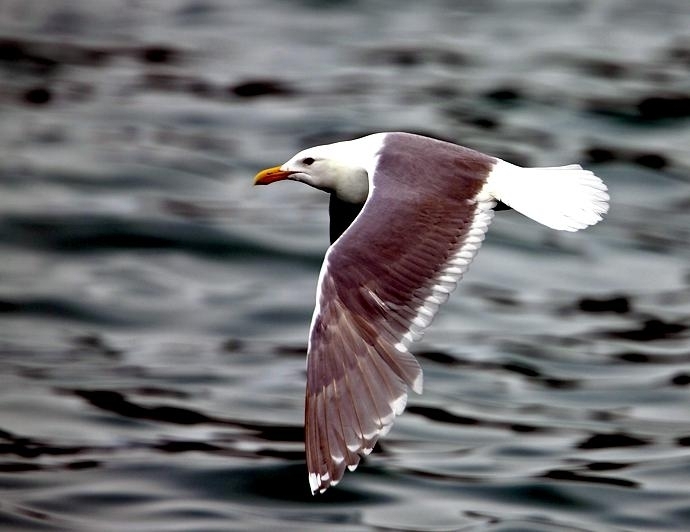 Glaucous-winged Gulls typically make up 2%-5% of all coasts finds each year, placing them among the top 10 coast species. 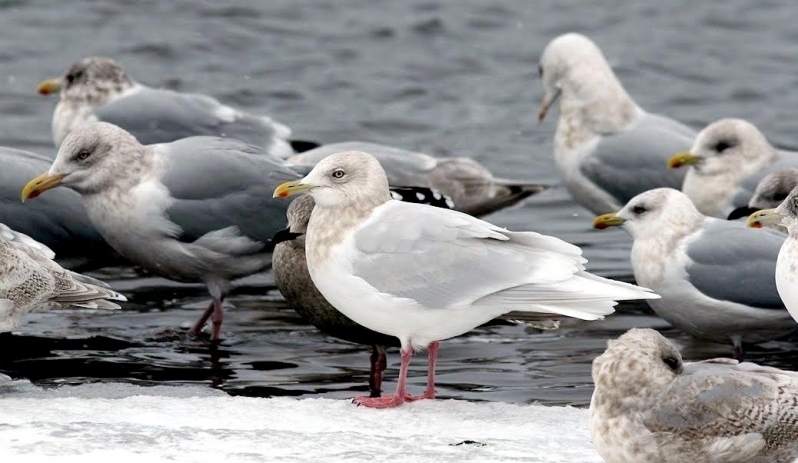 Far from being drab and dirty, adult Glaucous-winged Gulls are stocky, regal-looking birds with light grey backs and wings complementing a bright white head, breast and belly. 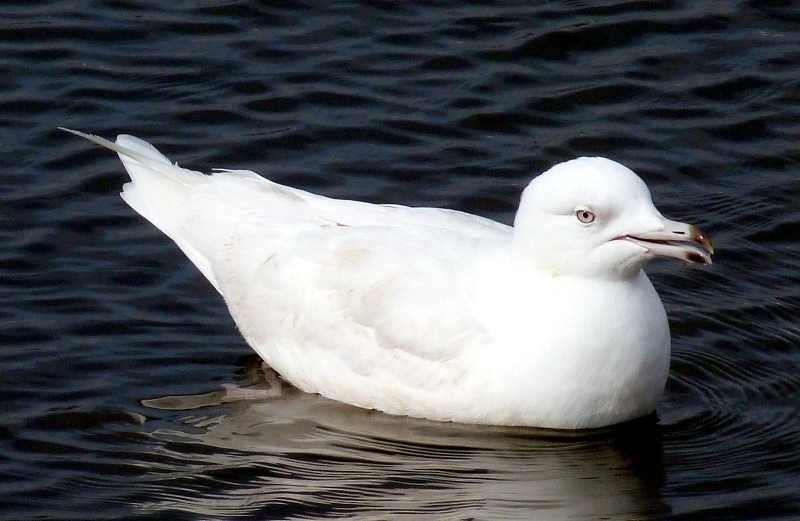 Adult birds even sport flashes of color with their red-spotted yellow bills, pink feet and dark eyes with pink eye-rings. 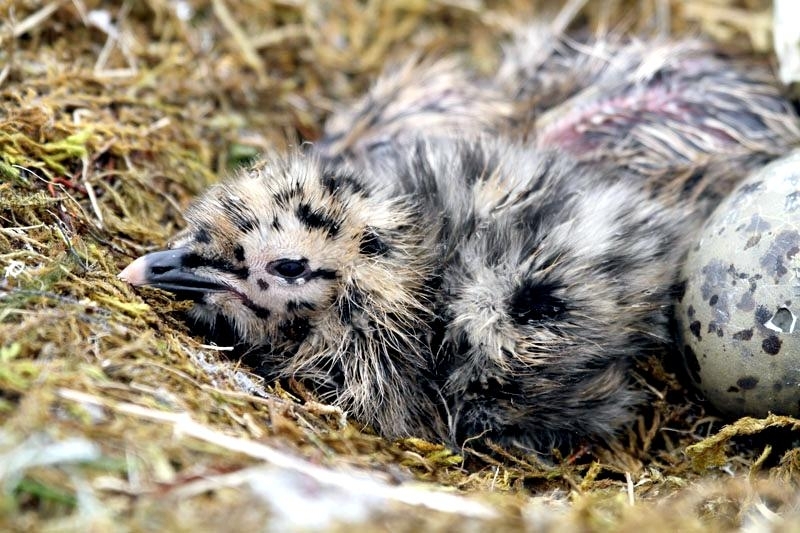 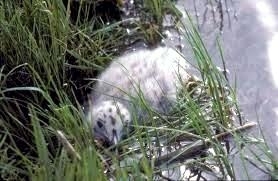 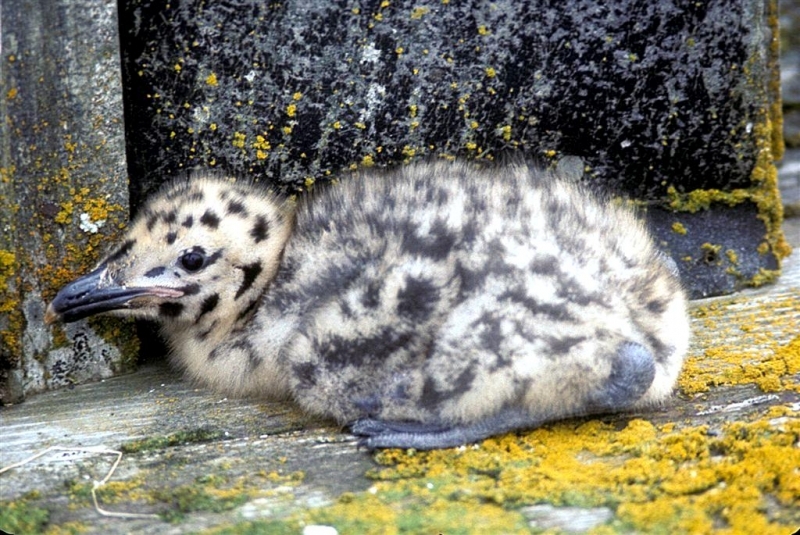 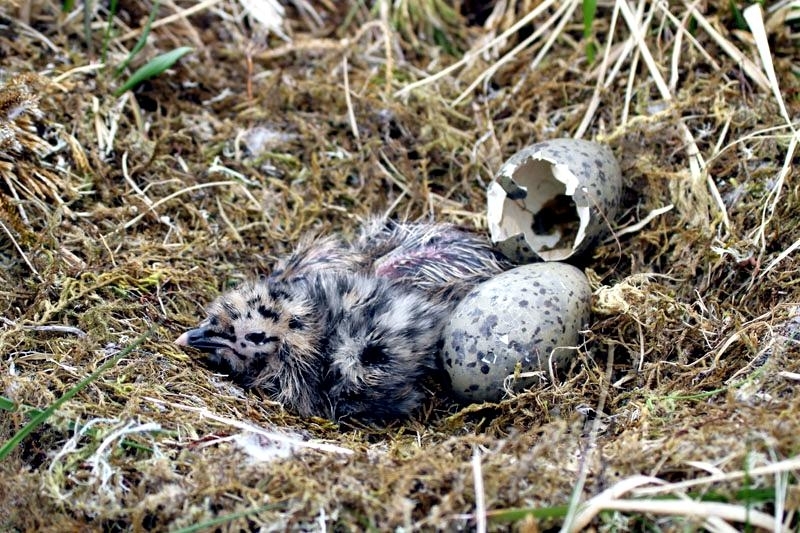 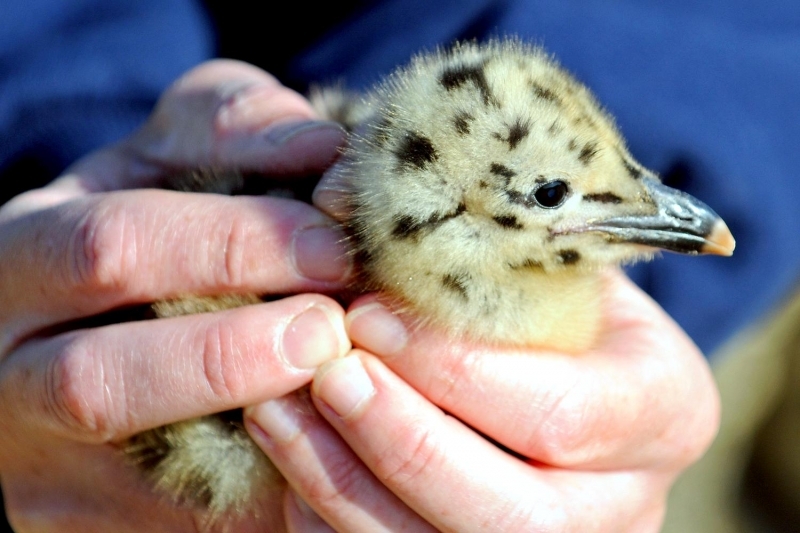 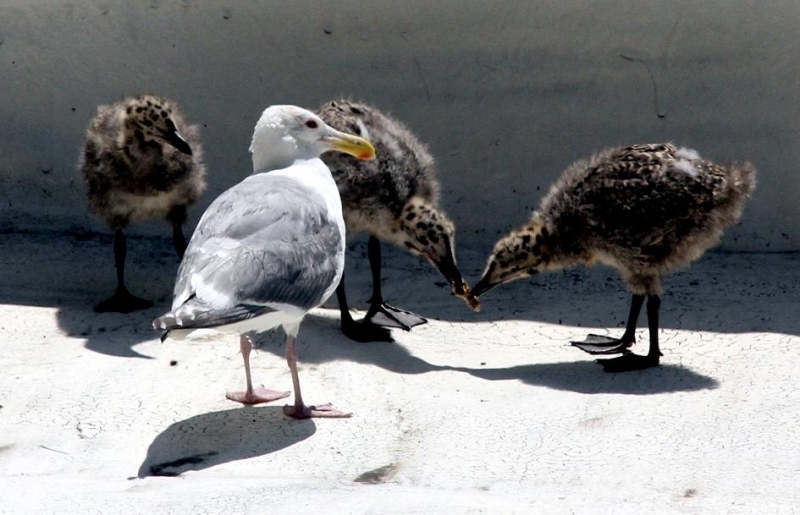 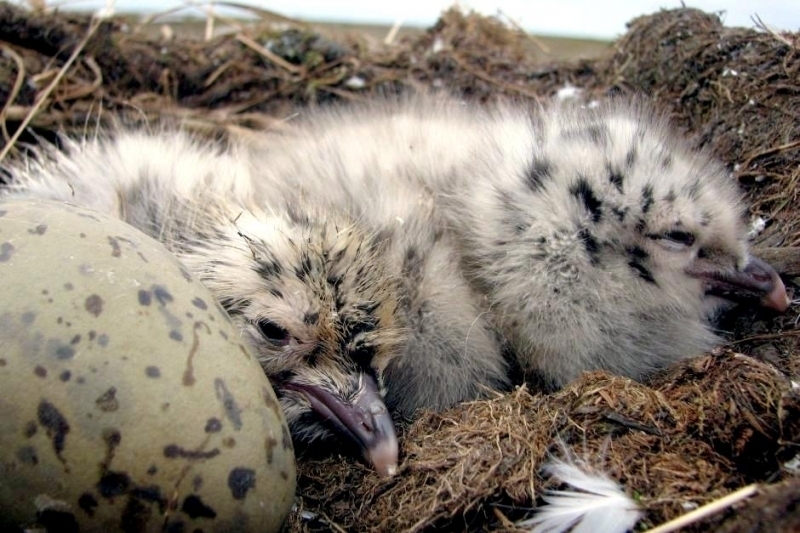 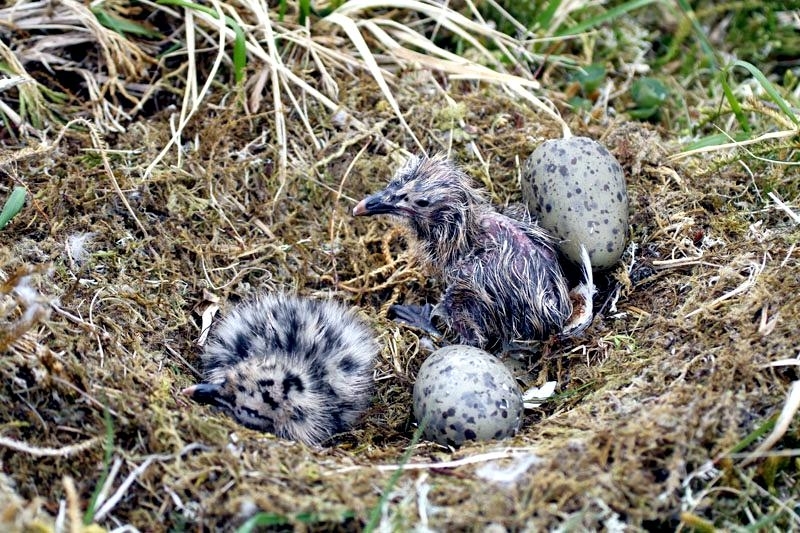 No such luck identifying juveniles unless you are a gull expert. 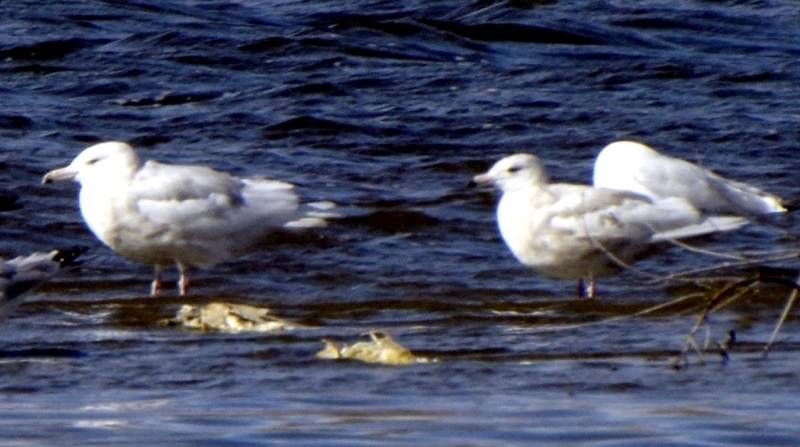 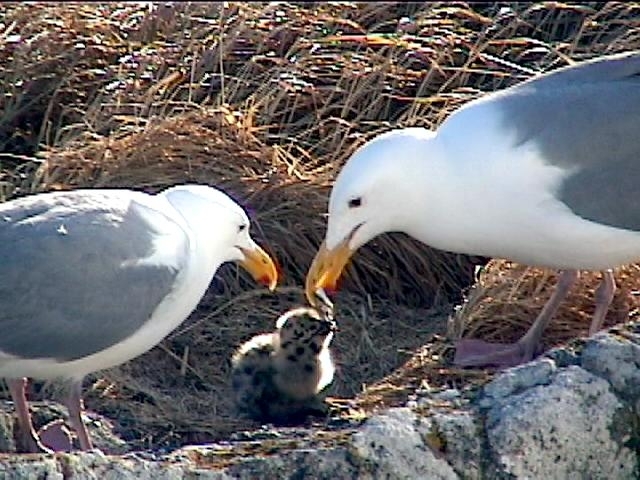 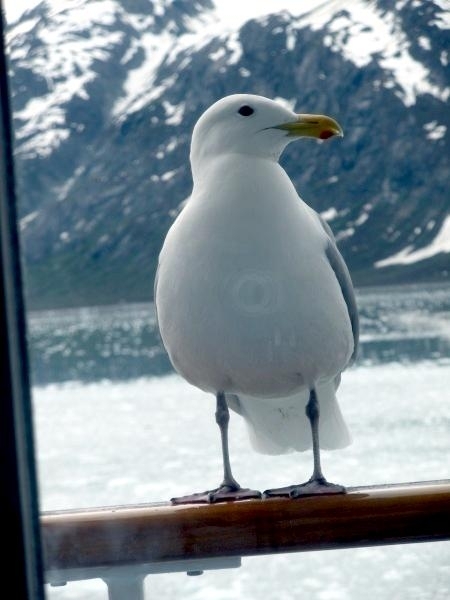 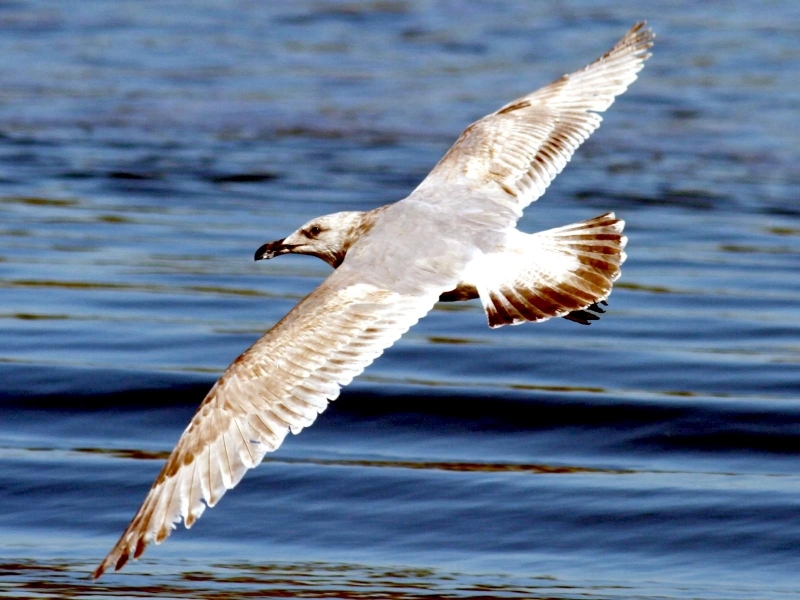 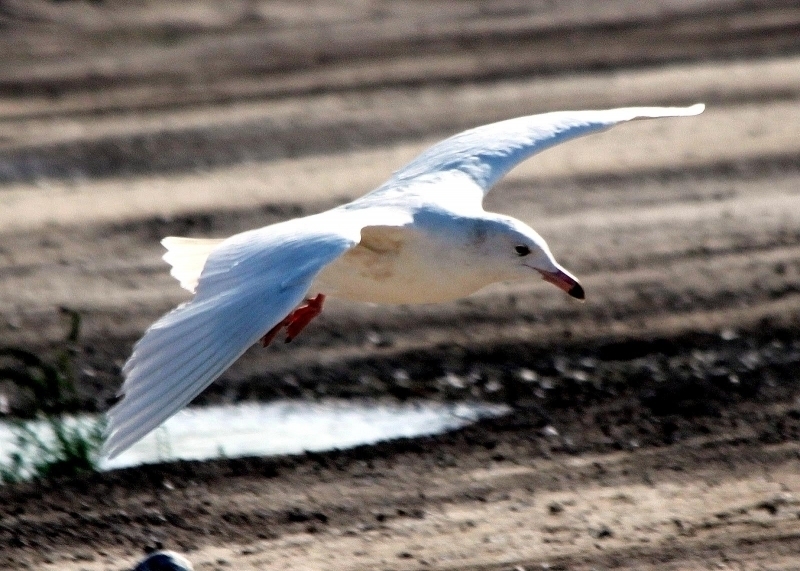 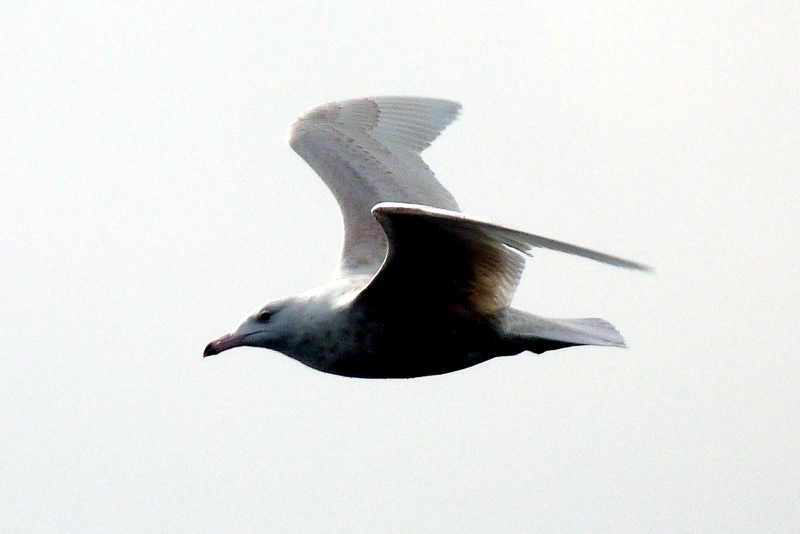 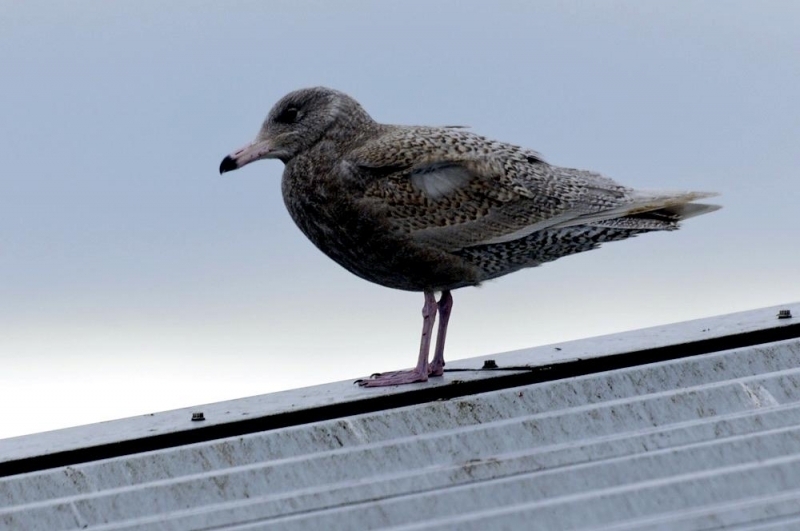 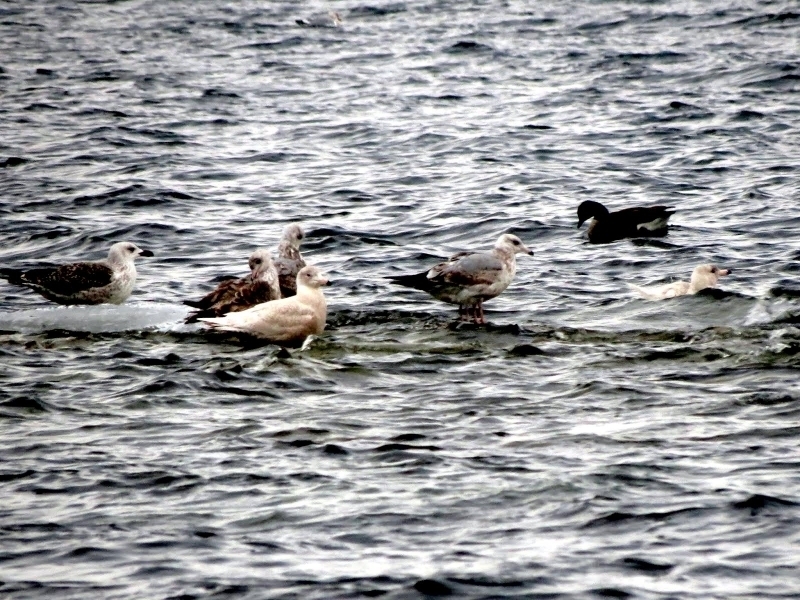 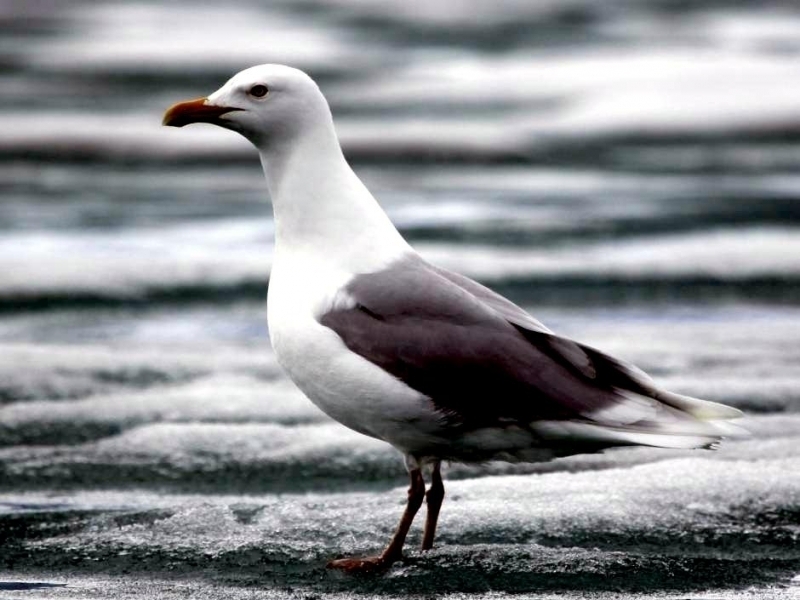 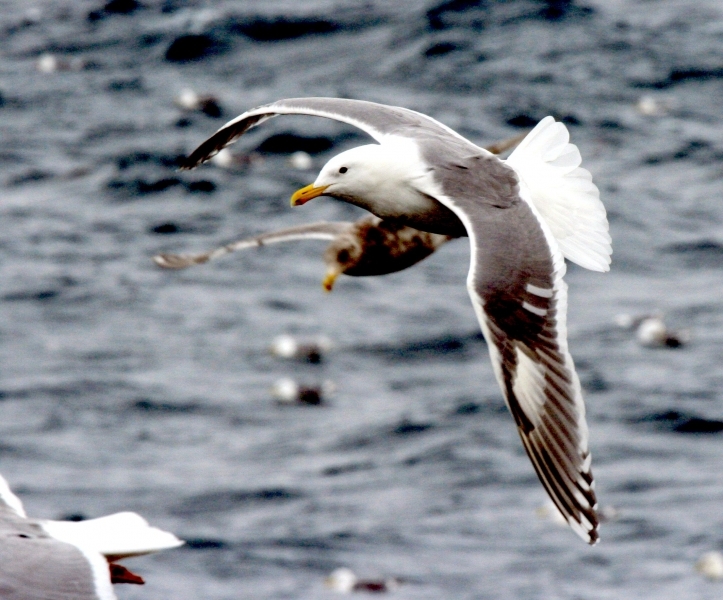 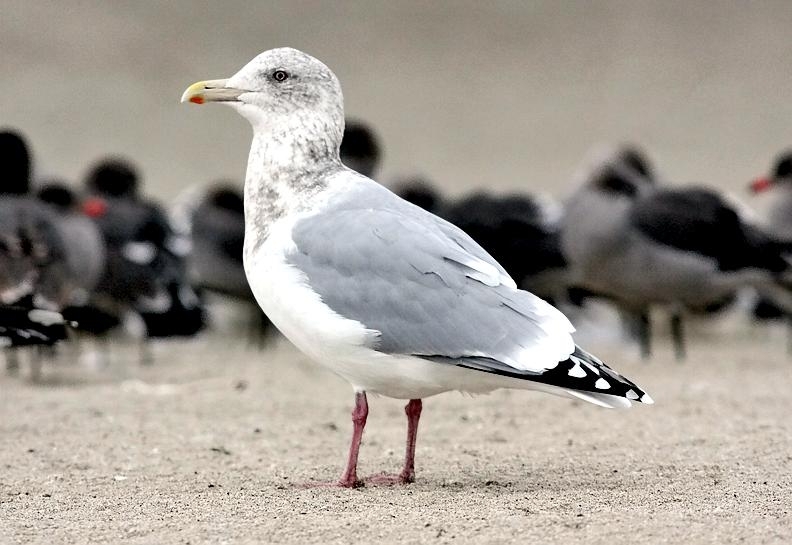 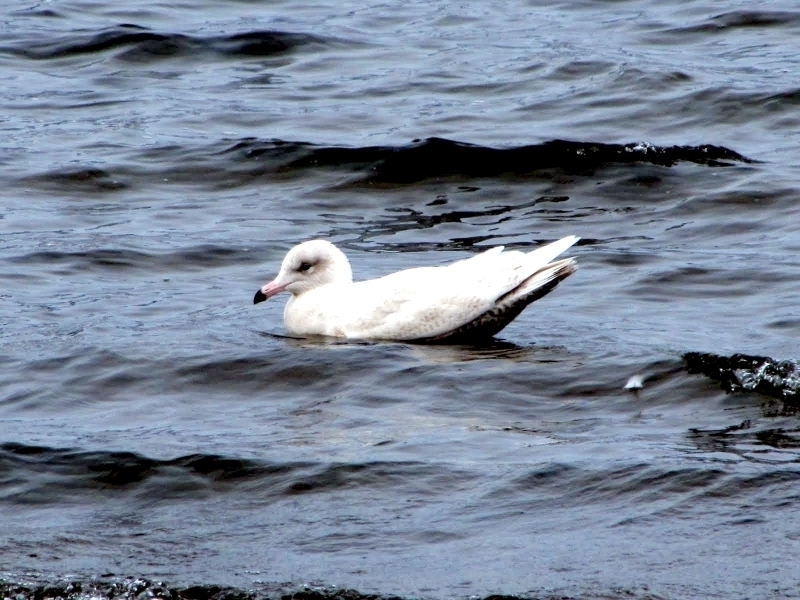 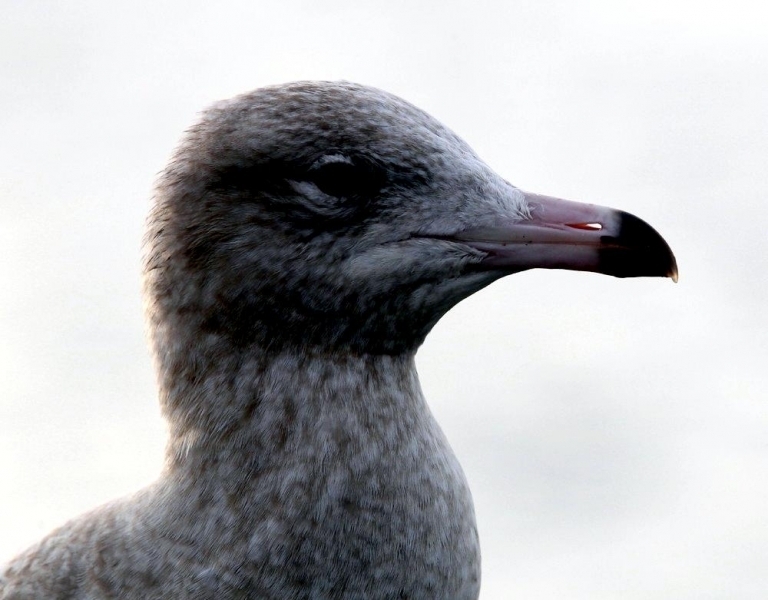 First year & sub-adult gulls are nearly impossible to distinguish at the species level. 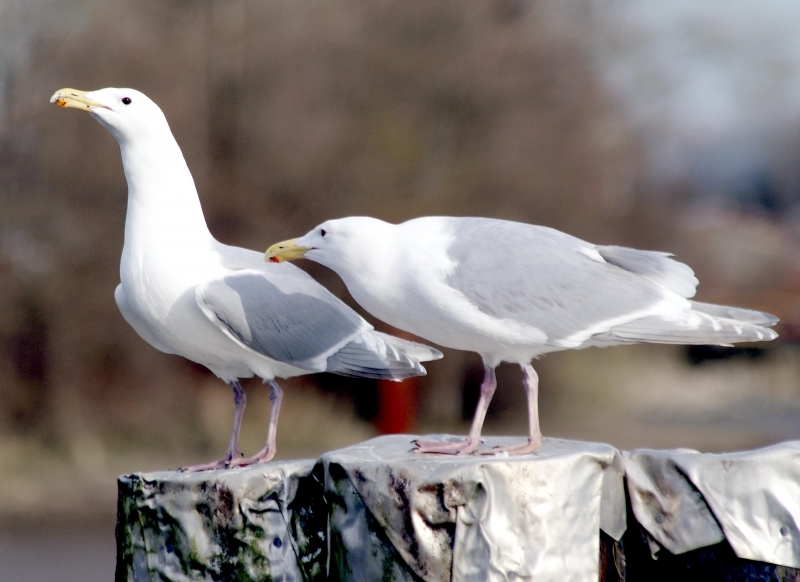 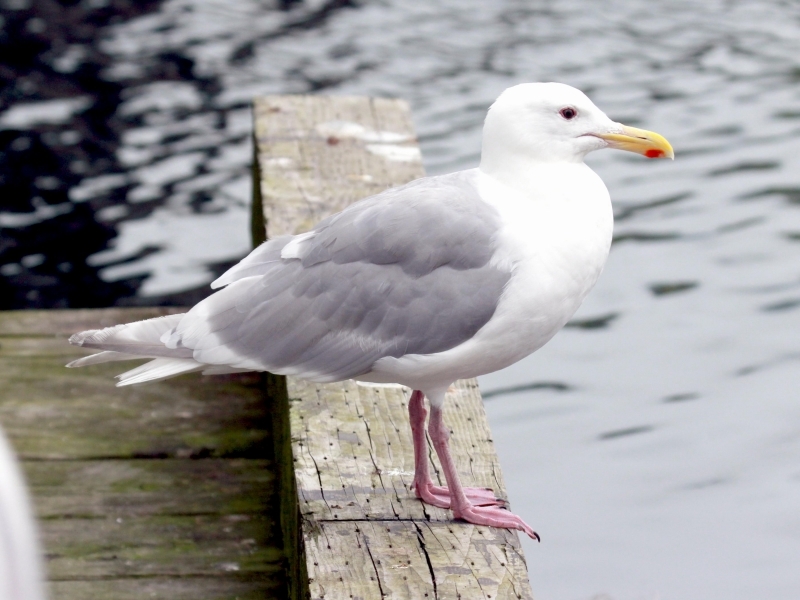 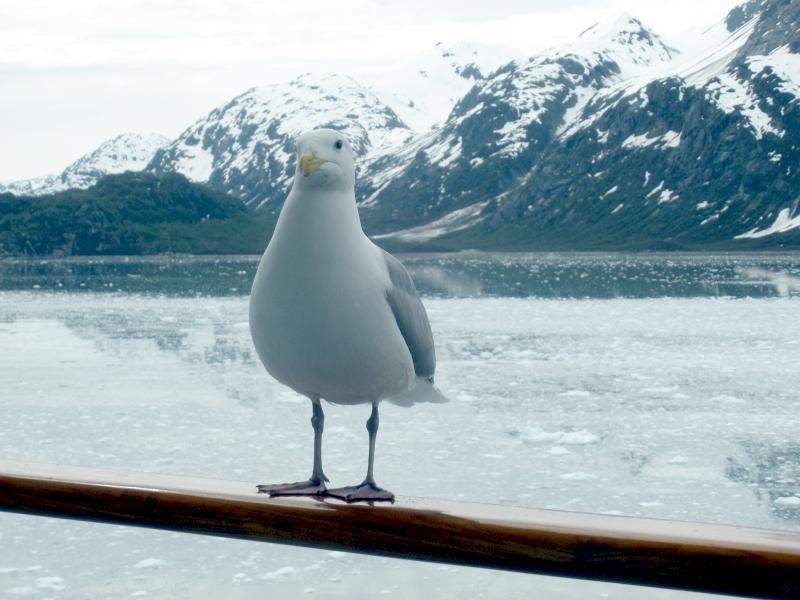 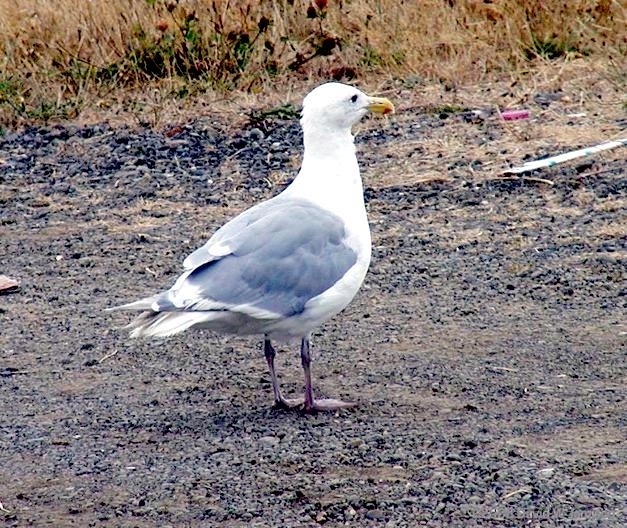 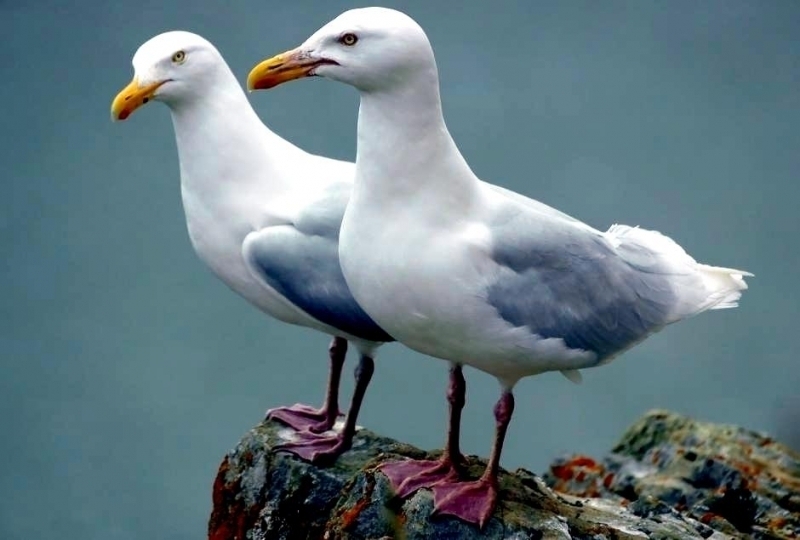 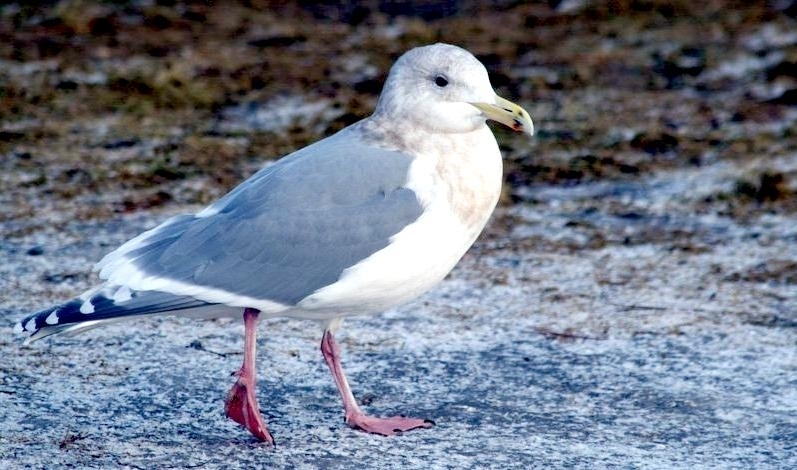 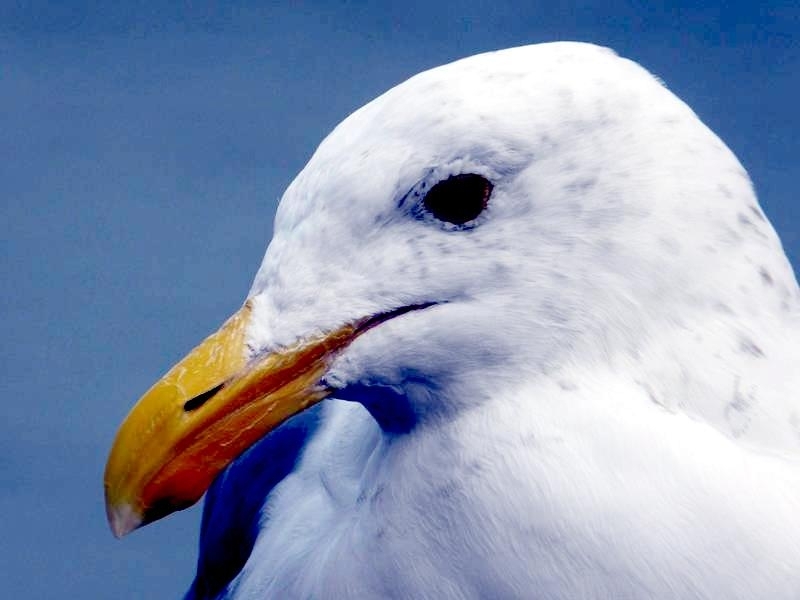 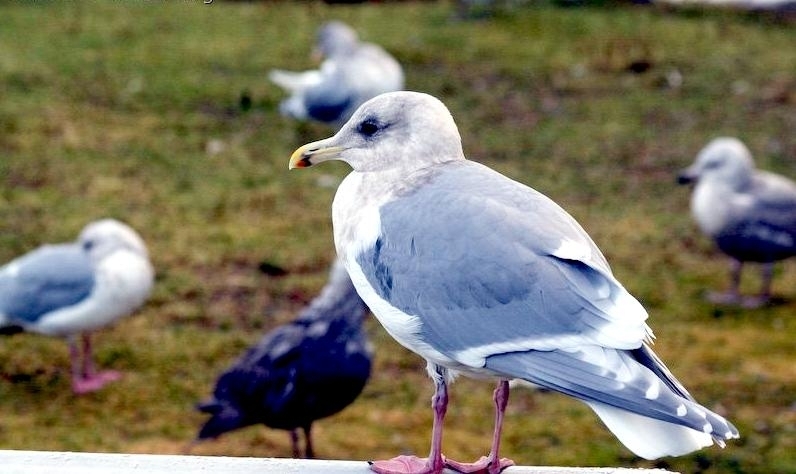 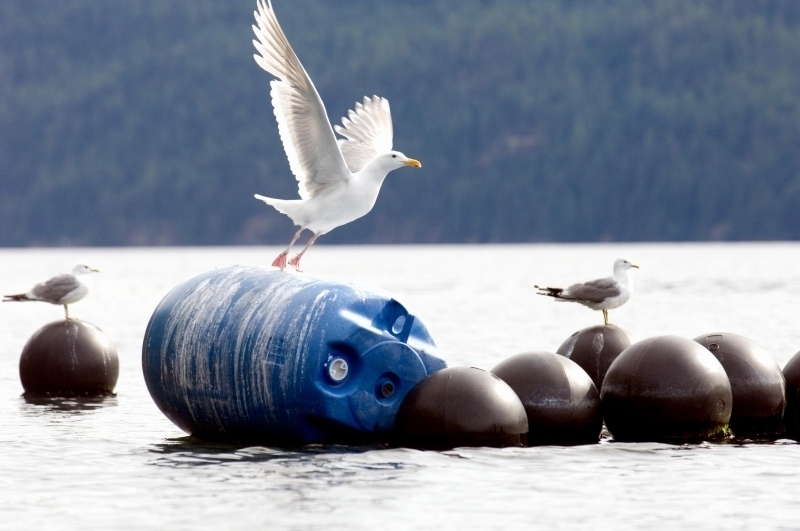 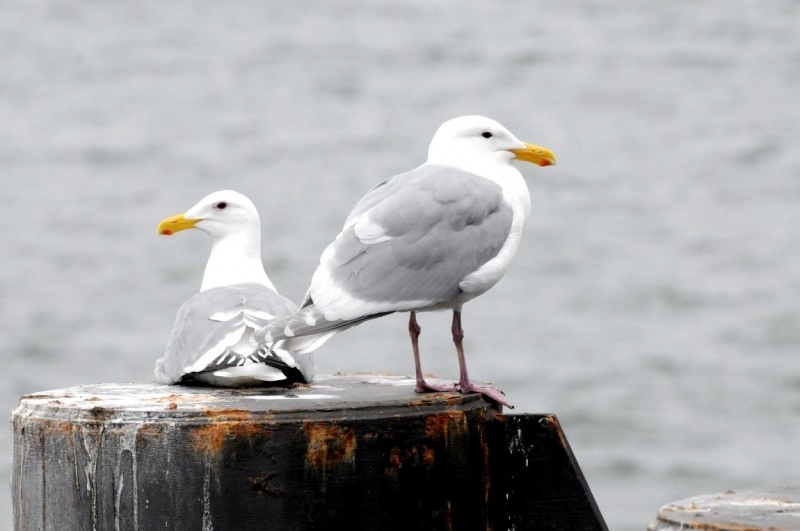 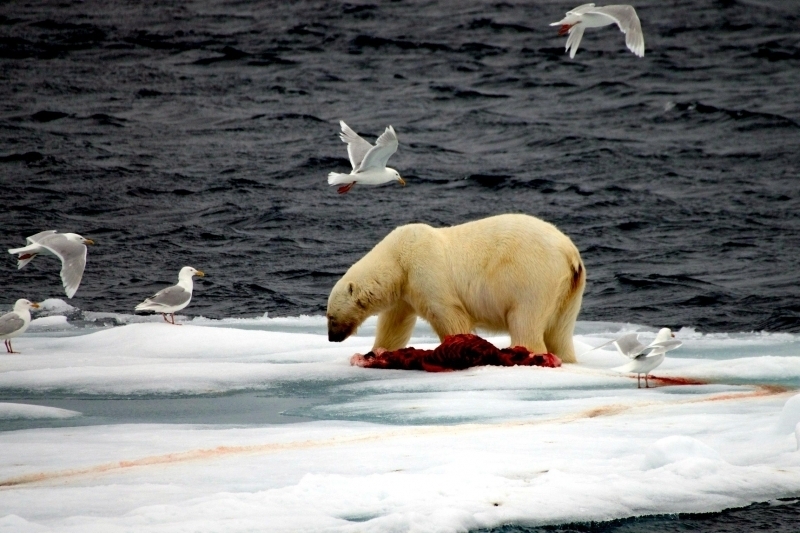 Most people only observe city-dwelling Glaucous-winged Gulls and are under the assumption that the only thing gulls eat is garbage. 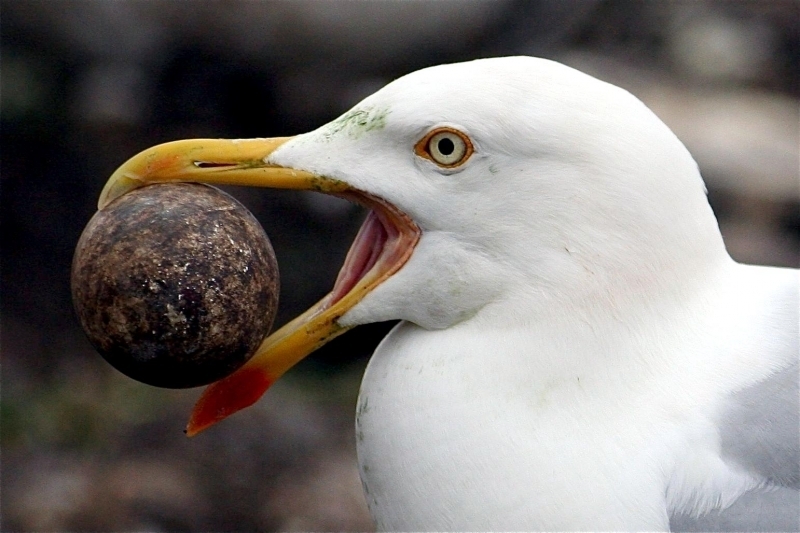 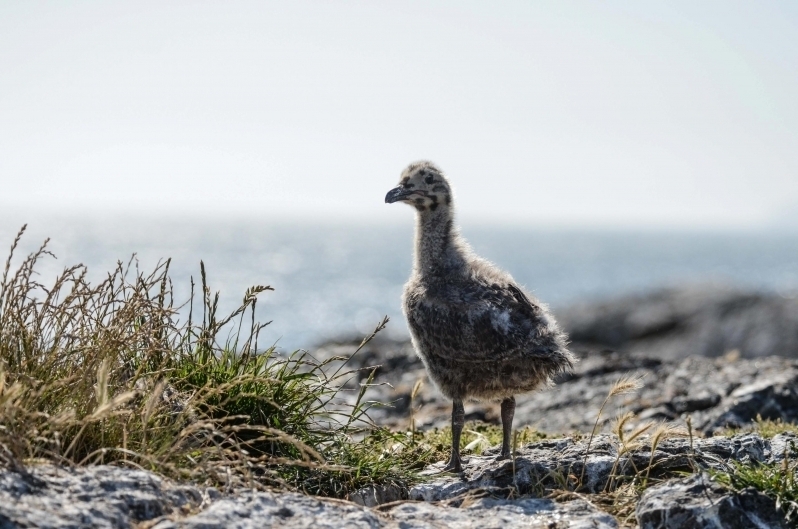 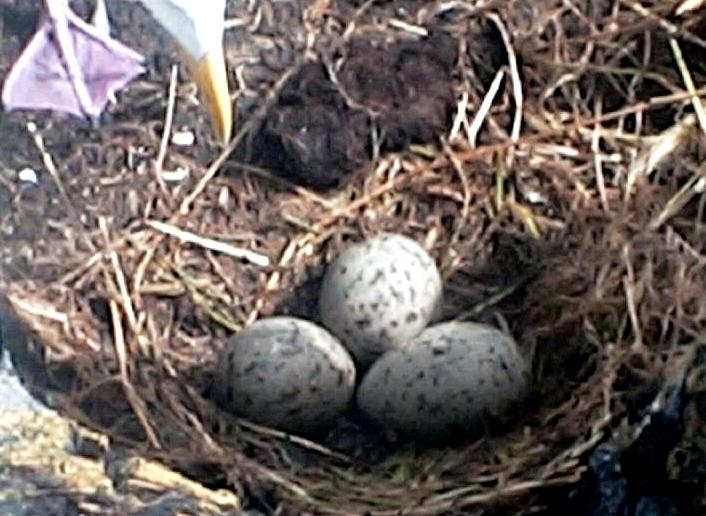 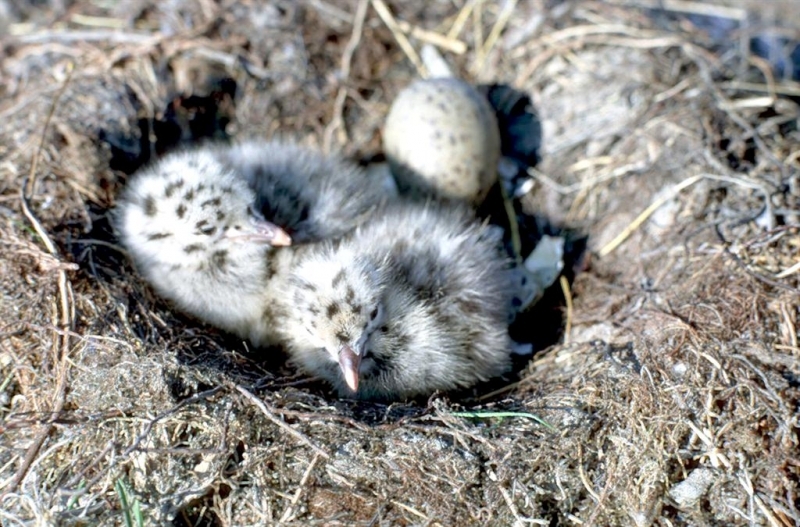 On the contrary, these seabirds actually have a huge dietary repertoire and are highly adaptable foragers. 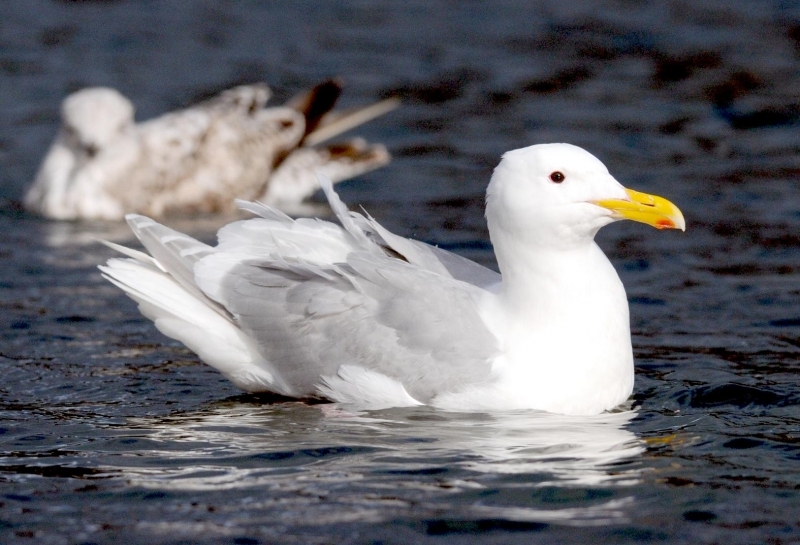 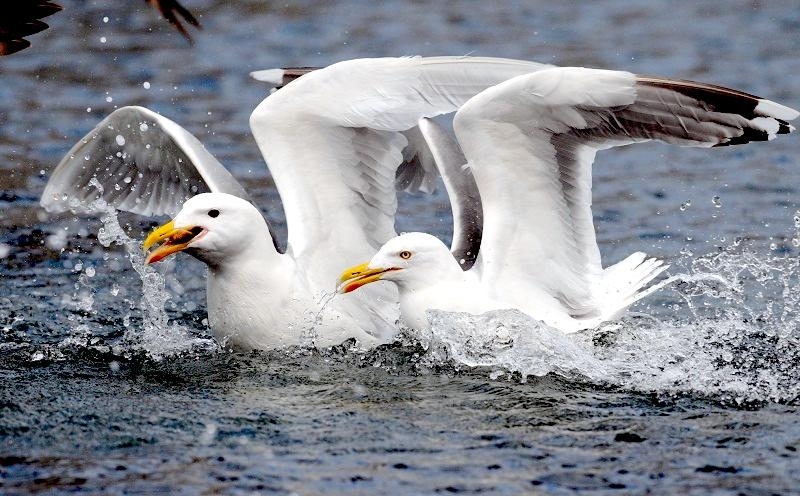 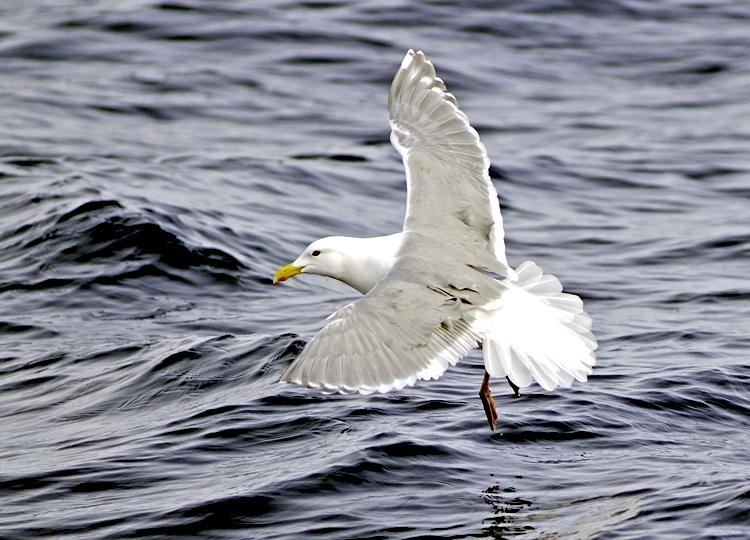 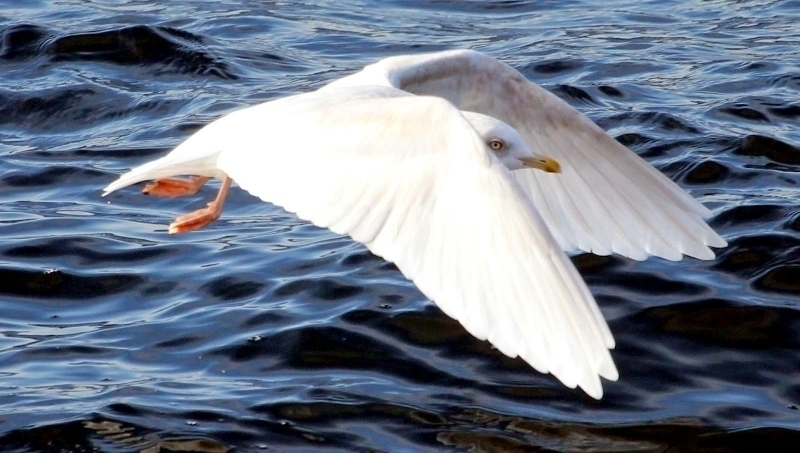 Glaucous-winged Gulls hunt for live prey such as fish & shellfish, which they catch by wading in the water or plunge-diving while in flight or swimming. 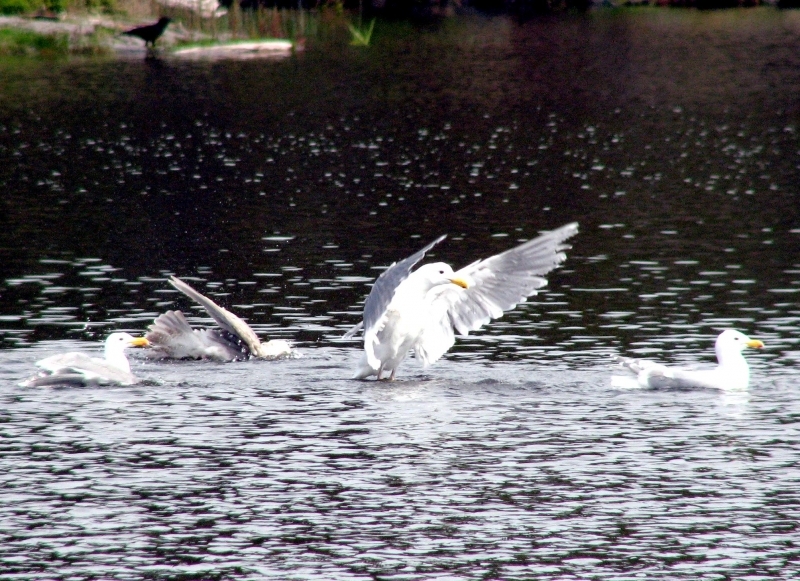 Others will fish for injured or disoriented salmon at dams. 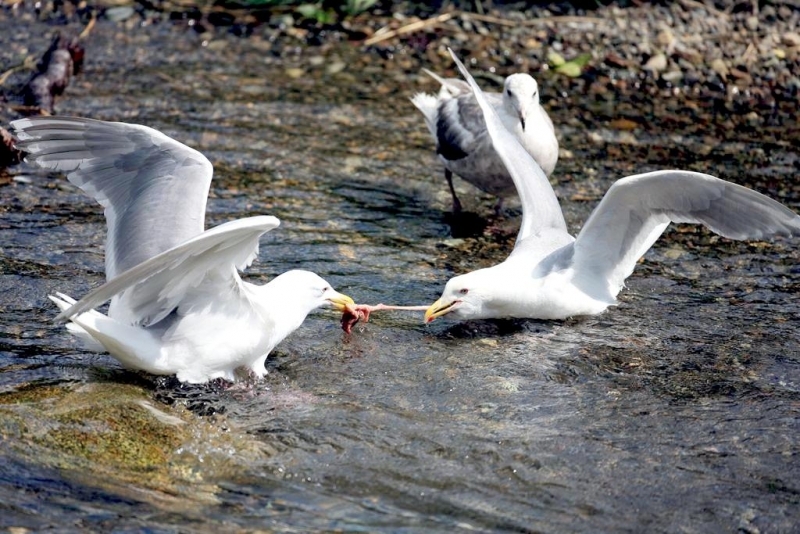 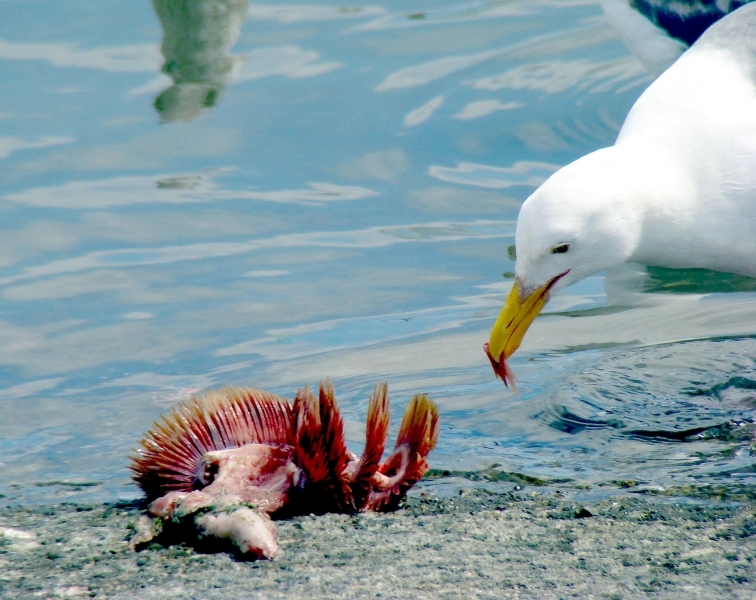 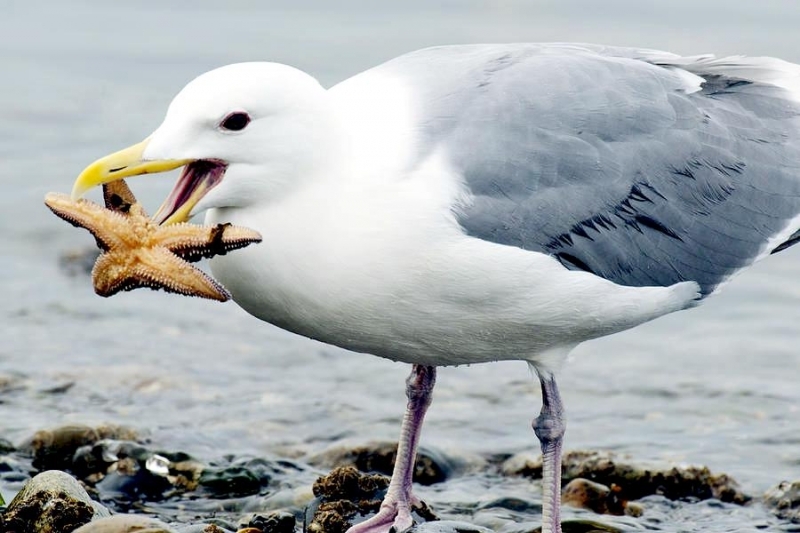 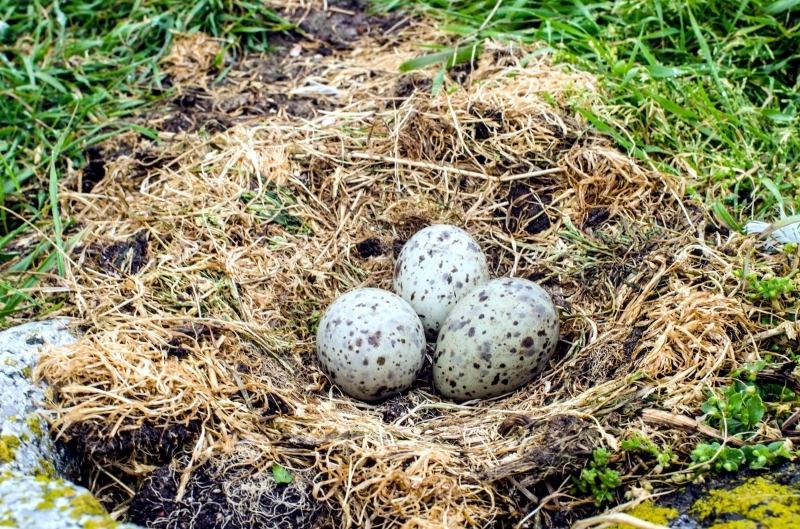 Some enterprising birds will become kleptoparasites, stealing food from other birds. 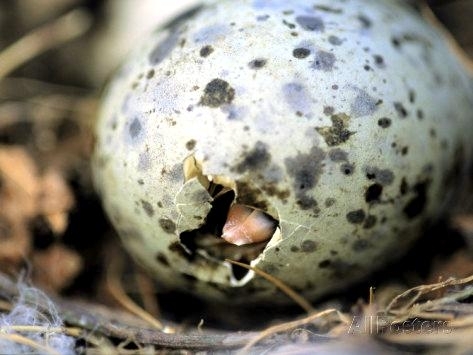 A few will even become cannibals, snacking on their neighbor’s chicks. 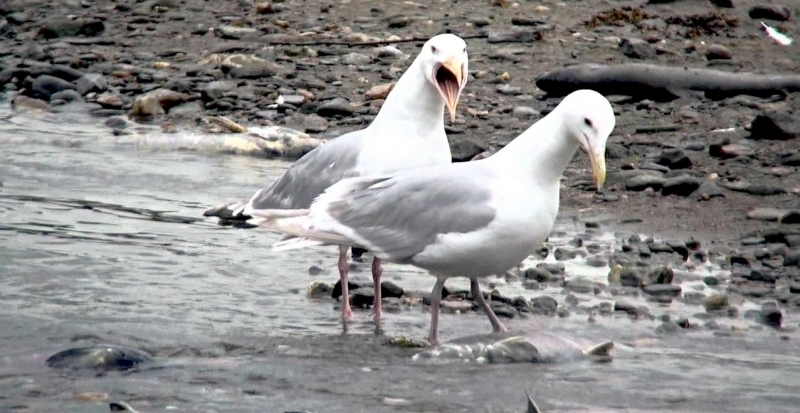 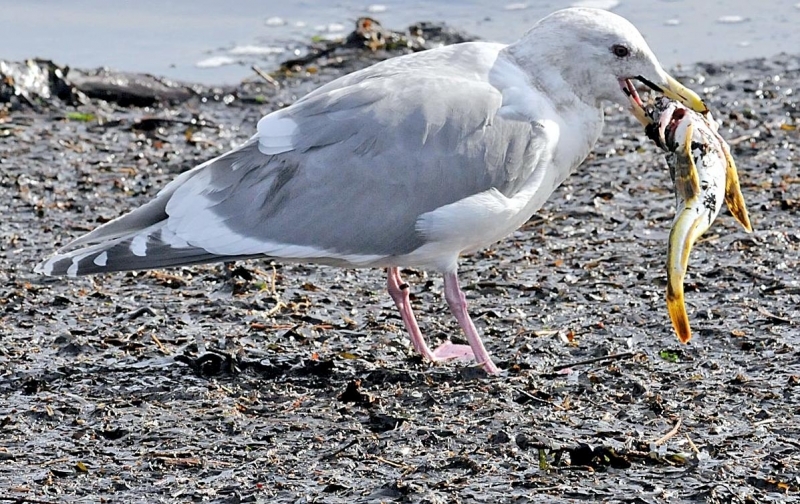 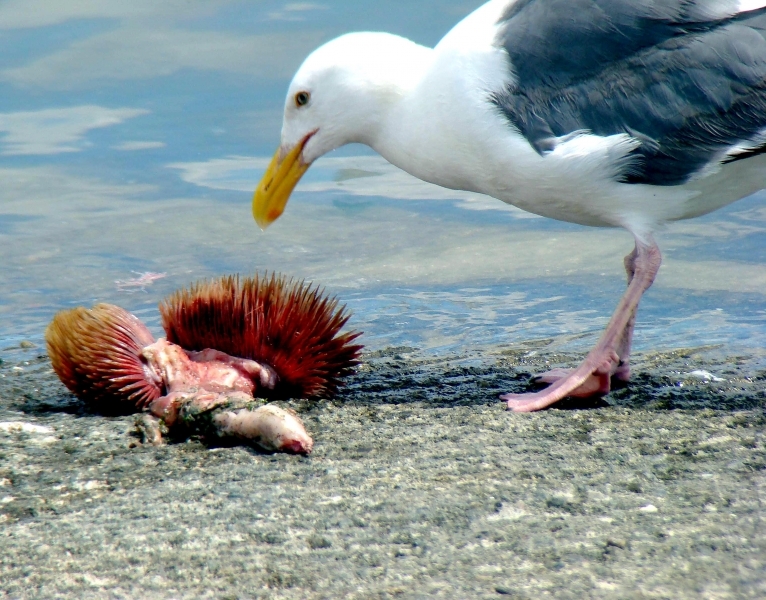 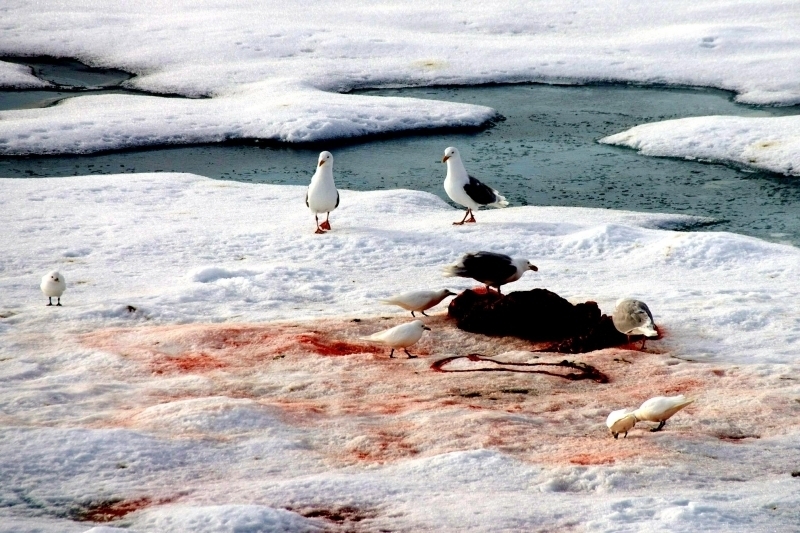 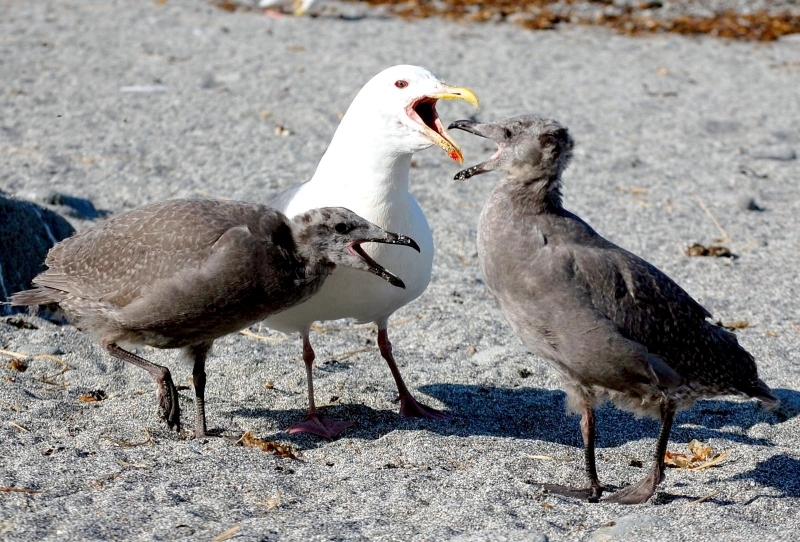 Glaucous-winged Gulls will follow fishing boats and feed on discarded fish & bait, while others will “clean up” carcasses on the beach.